Sometimes friends are in need of somewhere to stay and this is where some friend’s generosity is a lifesaver. Homelessness is a big problem in society and sometimes it happens when you least expect it. On any given night in Australia 105,000 people are homeless, and nearly half of these people are under 25. That’s 50,000 young people without permanent accommodation. 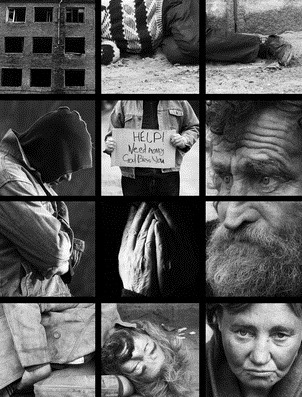 Being homeless doesn’t necessarily mean the same thing as living on the streets. Homeless people could be staying in temporary accommodation, in an abandoned building, with friends, in a boarding-house or in other assisted accommodation. Being homeless is also not always just about housing. It’s also about missing a stable connection to a network of friends, family and the community. A homeless person is also someone living in an unsafe environment, for example a violent home. Volunteers are always needed to assist people less fortunate. It is hard to imagine anyone being homeless when we are safe in our homes. At different stages in our lives we can all give back to the community in so many different ways. Sometimes even just a smile can make a big difference. A great way to help is donate money for a homeless swag.